Scientists knew that three proteins are involved in spitting out neurons' chemical signals. 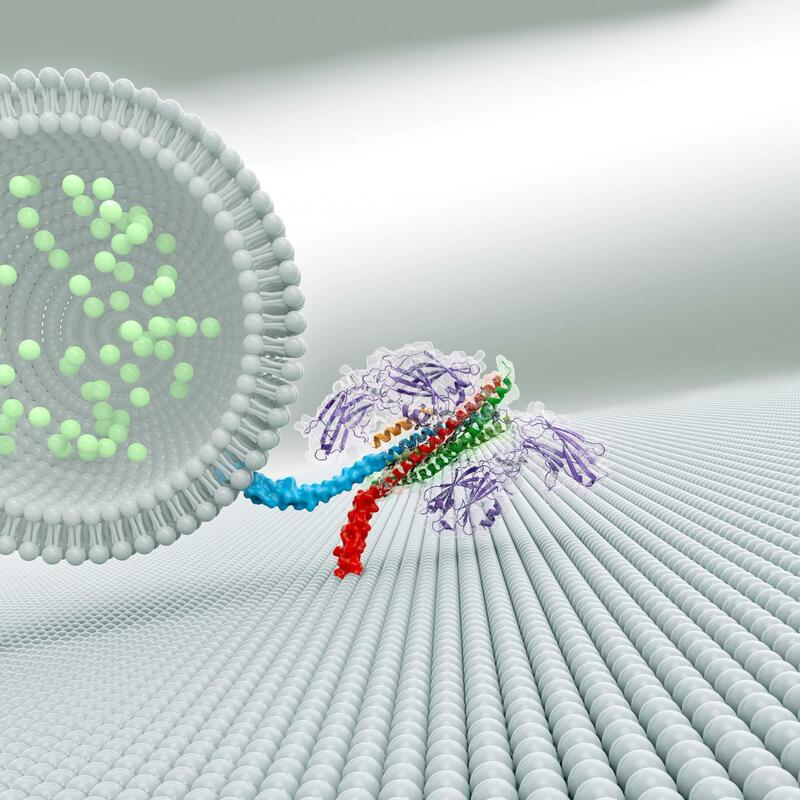 A group of proteins called SNAREs provides energy for membrane fusion. Another protein, called synaptotagmin, releases neurotransmitters when calcium ions appear following an electrical signal. A third protein, complexin, prevents cells from spontaneously releasing neurotransmitters. Synaptotagmin and complexin each partner with SNARE proteins, but until now, scientists could not explain how these three components worked together. Brunger's team at Stanford University synthesized portions of each component, allowed them to assemble into a complex, and coaxed the complex to form crystals. Then they determined the structure of the complex by measuring how the crystals diffracted x-ray light. "This tripartite interaction intuitively explains the role of the three components," Brunger says. "Now we can explain the cooperation between complexin, synaptotagmin, and the SNARE complex." Qiangjun Zhou et al. "The primed SNARE-complexin-synaptotagmin complex for neuronal exocytosis," Nature 548 (August 24, 2017): 420-425, doi: 10.1038/nature23484.